last monday i was walking on the train trestle over the san lorenzo river where it meets the ocean. 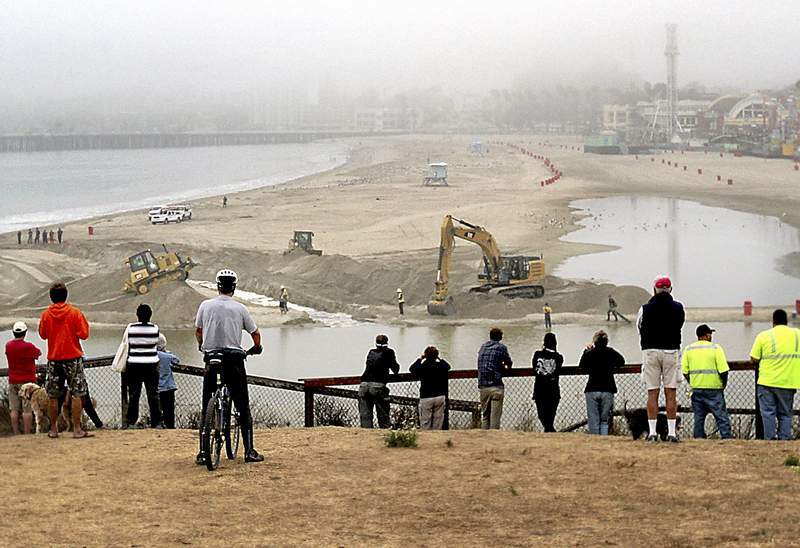 i passed by signs that notified folks to not damage the sandbar that developed at the river mouth as that is a habitat for fish right now...and that people could be fined if they do disrupt the sandbar that is keeping the river water pooled to create a lagoon for the fish. beyond the sign, on the sand, i see massive machinery that is there to do what the sign cautions against, which is to disturb the sandbar and drain part of the lagoon. you can read more about the damage being done in the article below. of course that is not the perspective taken in the article. this work is being justified because of impacts on people...people who have businesses and live on a flood plain...and the boardwalk most significantly impacted (and in the past boardwalk folks have done this work without permits, which caused them some inconvenience, and it seems that now they are more savvy about it and more recently have gotten city approval to have this destructive work done). i want to live in a world (and live my life) in a way that respects other lives/processes that are not human as well, even when that means inconveniencing myself/ourselves, especially when what is happening is the result of human choices that are out of balance with the eco-systems of which we are a part (for instance, if one builds on a flood plain, sometimes it will flood). right now choices are being made to prioritize the needs of certain people over all else, and this is in part a facet of how life here is organized under capitalism. other people suffer the consequence of this way of life (and death), and other beings, animals and plants, the waters and earth do as well. and damage done to the earth (and water and air) is also damage done to ourselves, as this planet is our home, and the home of those that will come after us...a home we also share with others. i want to respect and honor the river and ocean and to put that into practice. i am learning what that means, how to further do that. 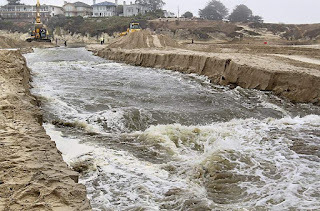 i post for you-all to share my thoughts on this, to let you-all know (if you didn't already) what is happening to the river/beach/ocean...so i and we can engage with that. this could look many different ways, both individually and collectively. let us share with each other, wherever we are, our thoughts/feelings/possibility for action, against these adversities and in defense of that which we care about...be it for other humans...be it for other aspects of life-and-being around us. 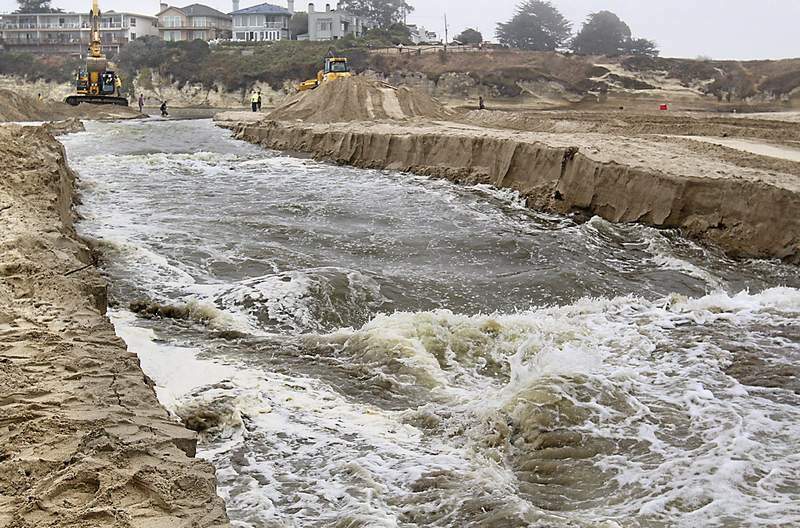 here is a link to a skewed article from the santa cruz sentinel (the local mainstream newspaper) about the damage done on the beach. read for the information and read critically as it's business-as-usual perspective is rank.